A diving holiday reveals a hidden side to the Maltese archipelago for Deirdre Mullins. Gozo, the little sister island of Malta, isn't all about sun-drenched terraces, red sandy beaches and ancient citadels. 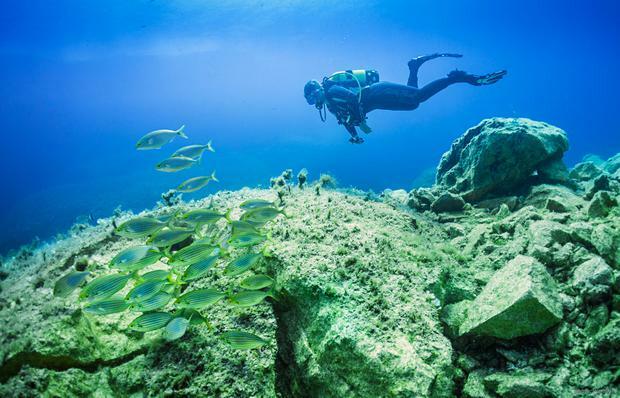 It's an underwater paradise too - one of the best diving spots in the Mediterranean, with something to offer everybody from beginners to technical divers. Gozo's crystal-clear waters mean visibility averages from 20 to 30 metres, but they can stretch to 45m in good conditions. The topography is impressive too, with breathtaking drop-offs, tunnels, caves and shipwrecks to explore. Weak currents and warm waters make watching the shoals of tuna, barracuda and damselfish a joy. Many of the dive sites are accessible from the shore and, as the island is tiny - measuring just 6km by 14km - you don't spend too long travelling between the different sites. Locals and tourists alike pack into Zeppi's (facebook.com/qala1), a tiny bar on the square in Qala. There's good quality live music on most nights, including an open-for-all jam session on Sundays. Join the friendly crowd, with a glass of wine or beer from just €2. Ta' Rikardu restaurant is located in the maze-like citadel, serving traditional Gozitan food - try the national dish, rabbit, which is bred by the owner, cooked in wine and served with potatoes (€14.50). Wash it down with a delicious bottle of Rikardu's homemade Cabernet Sauvignon (€10), or enjoy a day trip to his farm for a milking and cheese-making experience, followed by a traditional platter lunch for €50. Email ta@rikardu.com for bookings. Even if you're not a diver, you can still enjoy the underwater world, and at a fraction of the price, by donning a snorkel, mask and fins. It's rare that snorkellers get a chance to peruse a shipwreck but the P31 in Camino lies at a relatively shallow depth (10-18 metres), making it accessible. Camino is home to the Blue Lagoon, which is famous for its turquoise waters and is a popular snorkel site. Also, take time to hike Camino's dramatic coastline with its jagged cliffs and sandy beaches; allow two to three hours. 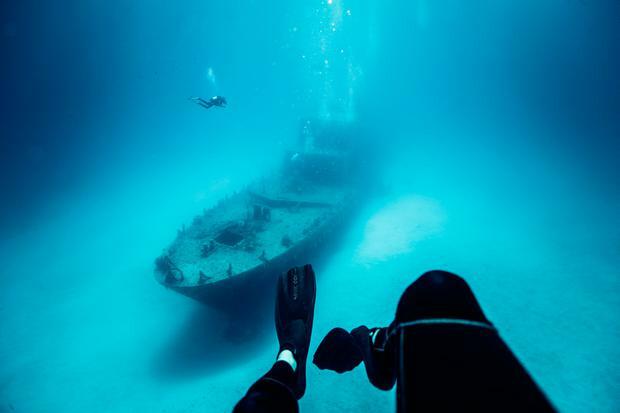 Jacques Cousteau classed the Blue Hole as the best place to dive in Europe, and it's the most popular site on Gozo. After a short hike, entry is via a 10m-wide inland sea pool - the dive takes you through magnificent crevices and rock formations before arriving into the open sea. The site is at the now collapsed Azure Window, and where divers used to pass under the famous arch, they now get to swim around its remains - which jut out from the seabed like three mountainous peaks. Although Gozo is divable throughout the year, conditions aren't great from January to March - with the wind picking up and water temperatures dropping to 14°C. A dry suit or a 5.5mm full wet suit is needed! Ryanair flies direct from Dublin to Malta three times a week in winter and five times a week in summer, with a route from Belfast too (ryanair.com). From the airport, get a bus from Valletta (€2) or a taxi (€28) to Cirkewwa to pick up the Gozo Ferry (€5; gozochannel.com). Deirdre travelled as a guest of Visit Malta and Gozo Dive (gozodive.com), which charges €40 for a single dive - value is better if you buy a bundle of dives, and a PADI Open Water Diver course costs €350. For more information on Gozo, visit maltaireland.com.